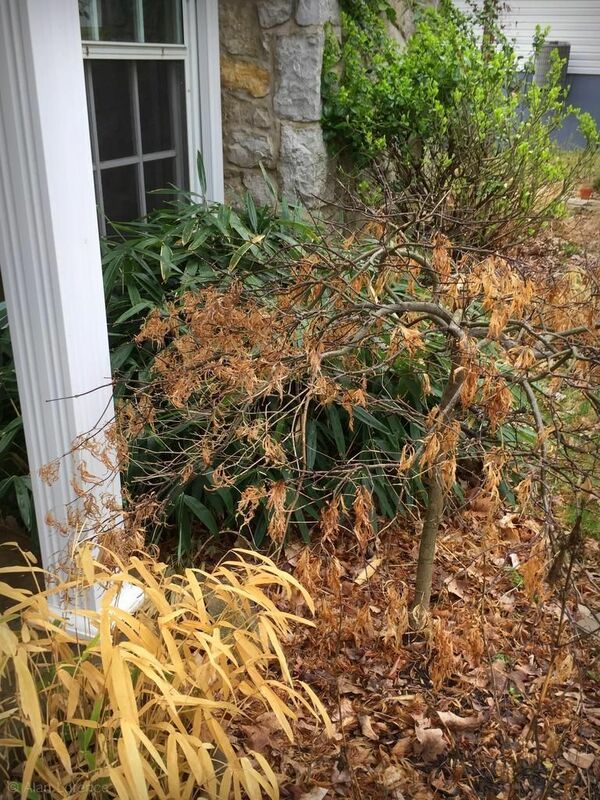 It's time to chop down my groundcover and "shrub" bamboos, as they will soon be pushing out new growth. Some are brown, some are still green but a bit tired looking, but all will be wonderful when the foliage refreshes. Unfortunately, this means that I'm entering the period of least attractiveness for the bamboos. 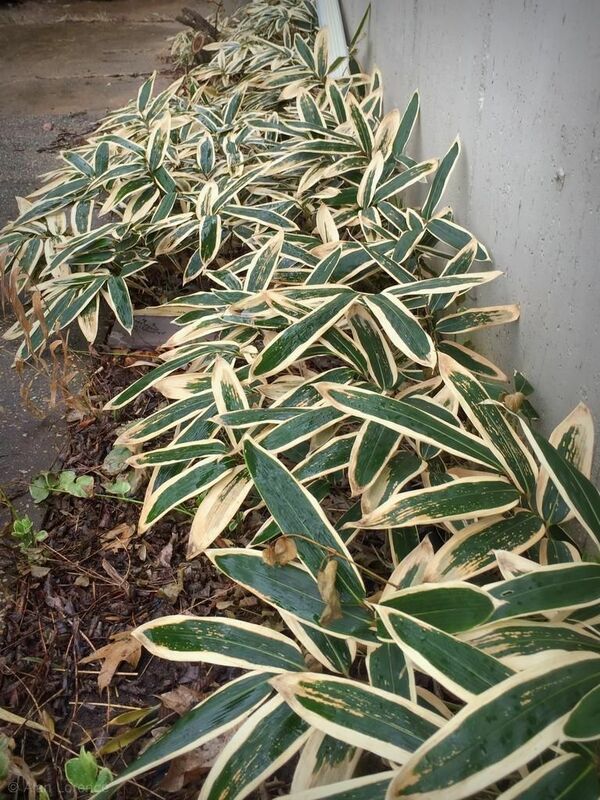 This hurts the most with the Sasa veitchii bamboo whose leaf margins "burst" each winter giving the foliage a beautiful variegated look. So this is one last look at the S. veitchii before it gets clipped. I mean, look at that foliage! I always hate cutting this down. The new growth is straight green until cold weather brings this look back again in the fall. So that's a last look at some pretty bamboo colors, as they'll be gone tomorrow. Love that Sasa veitchii. 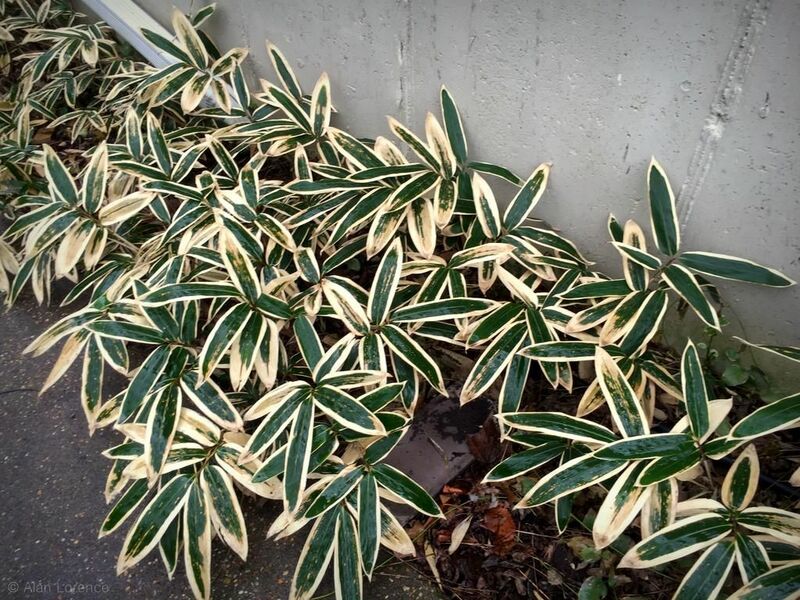 The brown margins look like variegation. So pretty! It's great how winter can make plants look so differently. 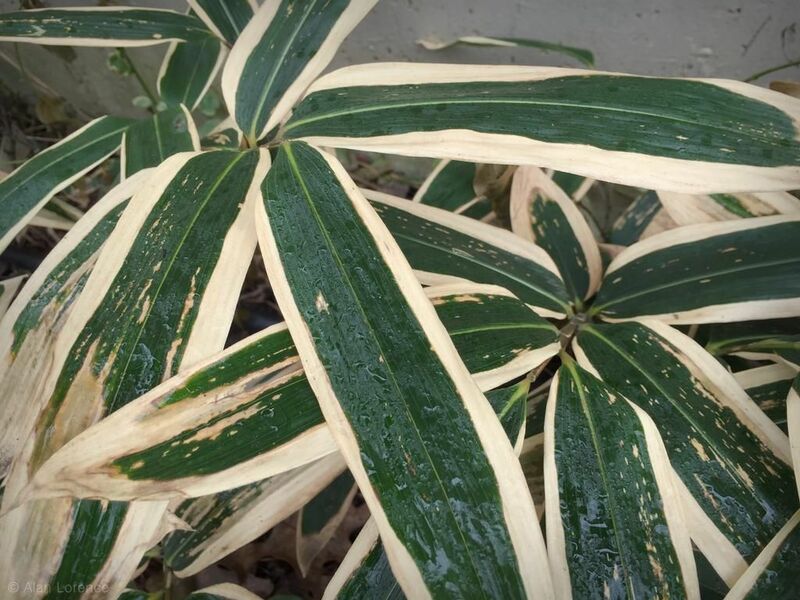 Gerhard: It's such a "normal" bamboo for most of the year, then in autumn it turns special! Renee: I agree! 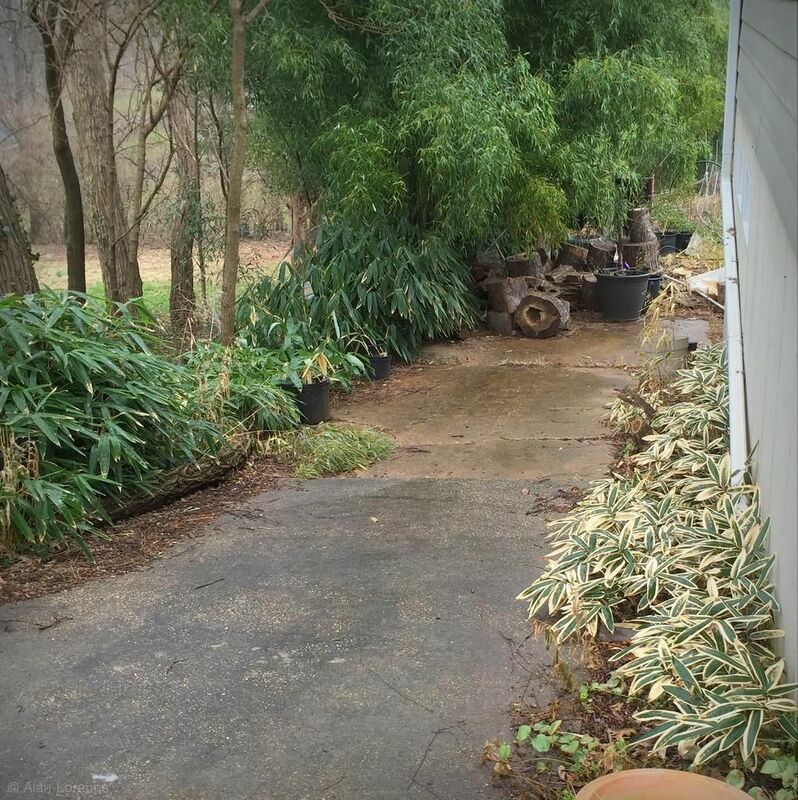 I don't understand gardeners who clean up everything before winter -- they're missing out on months of beauty!